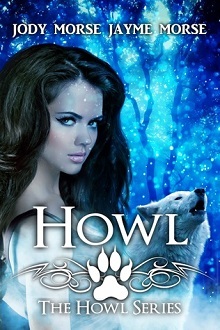 Welcome to a review of a Young Adult Paranormal Romance, Howl, by Jody and Jayme Morse as narrated by Meghan Kelly. So – this is wholly a YA, leaning to teen listen with characters that border on the stereotypical. Sadly, while there were some clever moments in the use of werewolves, the characters themselves were rather thin and underdeveloped, or presented with quirks that needed far more than a quick mention (or repeated and often overused phrases) to build them with some depth. In short, Samara is fifteen, a good girl who is obsessed with being just that, with a best friend who is the poster child for party-girl central. She’s got a difficult life at home (we are told often) but her hesitancy in asking the right questions or actually looking at the situation before just forging ahead according to whim of the moment is frustrating. When she’s finally asked out by her crush of long standing, and she is then bitten by a wolf, her life starts to change. As a wolf, Samara is finding things changed – two alphas wanting her to join their packs, with no real explanation as to why she was turned. Oh yeah – she has to make a choice because of strife between the two packs, and her bloodline allows her to make that choice. Confused yet? Let me elaborate – we have a convoluted storyline of the wolf, we have the teenaged girl hiding her wolf side in school and at home. And we have secrets. Lots of secrets – all leading to an ending. Wait. There is no real ending. Not a one. Not even a solid conclusion to bring us to some sort of satisfaction. A HUGE peeve of mine – I’m cool with a cliffhanger for an ongoing major issue (the wolf pack wars could be that) but something solid and important should have been decided. And wasn’t. Narration has been provided by Meghan Kelly, the second or third title I have reviewed that she has narrated. Her performance was solid, capturing Samara and her friend’s voices with a tone that gave them a ‘teen’ edge, and her male voices didn’t overreach into cartoony-overact. Her performance and the emotion that she brought to a book solidly lacking in substance kept me listening on, a clear bonus for a story so full of issues. 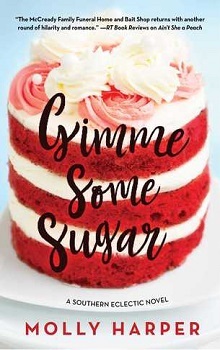 In short – I wouldn’t recommend this book – but I would most certainly take a chance with another title from this narrator. Samara’s first date with Luke, the hot new guy at school, didn’t go exactly the way she planned. She figured they would stargaze and maybe share a kiss at the end of the night, but she couldn’t have prepared for what really happened. She was bitten by a wolf and not just any wolf—a werewolf. As Samara begins to learn more about her family secret and how it plays into her new life as a werewolf, she realizes that she has an important decision to make—one that could hurt the ones she cares about the most. She must choose between two werewolf packs: the one that she’s destined to be in and the one that she feels she belongs in.